Xemi was failing in fragging so i had to carry him alot. 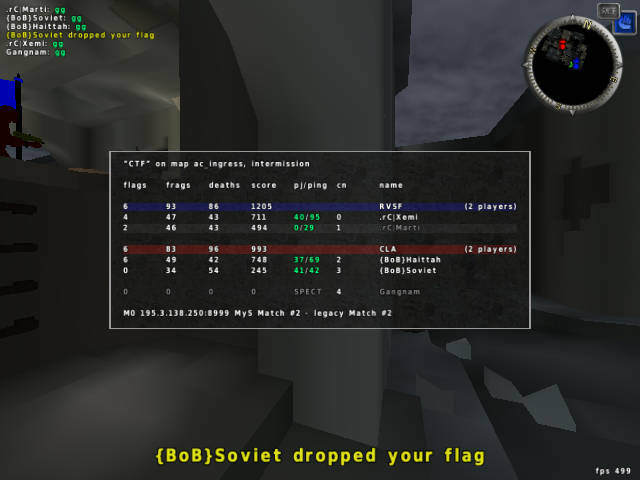 we did allright, we counterattacked every flag they scored and we were just killing more. Wasn't it like "super awesome pro ratio" before, or something like that?